Create a company and brand it. 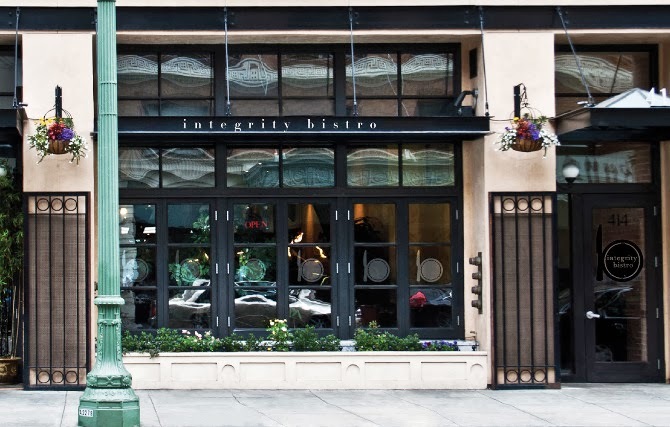 I created the Integrity Bistro, a restaurant that serves dishes made of local, organic and free range foods. The logo represents this progressive thinking with its clean and simple design and color scheme. The plate and fork brandmark is slightly more decorative and is used with and without extra information on things like to-go bags as well as the restaurant exterior. You do great artwork. Carrie C.